Obama: Auto Industry "Not There Yet"
GM and Chrysler are surviving on $17.4 billion in government loans. 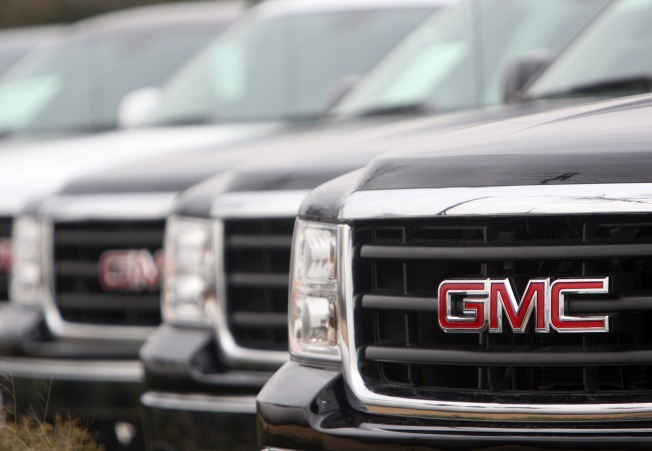 GM is seeking $16.6 billion more; Chrysler wants $5 billion more. President Barack Obama says General Motors Corp., Chrysler LLC and all those with a stake in their survival need to take more hard steps to help the struggling automakers restructure for the future. Obama, in an interview with CBS' "Face the Nation" broadcast Sunday, said the companies must do more to receive additional financial aid from the government. "They're not there yet," Obama said. The president was set to announce a plan Monday for the government to provide more money in exchange for tough concessions from union workers, bondholders and others. Lawmakers were expected to get briefed on the plan Sunday evening. "We think we can have a successful U.S. auto industry. But it's got to be one that's realistically designed to weather this storm and to emerge — at the other end — much more lean, mean, and competitive than it currently is," Obama said. GM and Chrysler are surviving on $17.4 billion in government loans. They have been hard hit by the economic downturn and the worst decline in auto sales in 27 years. GM is seeking $16.6 billion more; Chrysler wants $5 billion more. Obama said the government would require a "set of sacrifices from all parties involved, management, labor, shareholders, creditors, suppliers, dealers. Everybody's gonna have to come to the table and say it's important for us to take serious restructuring steps now in order to preserve a brighter future down the road." Both companies are trying to reduce their debt by two-thirds and persuade the United Auto Workers union to accept several cost-cutting measures. General Motors said in a statement that it expected a decision soon but "it would not be appropriate for us to speculate on the content of any announcement." Very little was being done in negotiations with debtholders and the union ahead of Obama's announcement, a person briefed on the GM talks said Sunday. This person did not want to be identified because the negotiations are private. Under the terms of a loan agreement reached during the Bush administration, GM and Chrysler are pushing the UAW to accept shares of stock in exchange for half of the payments into a union-run trust fund for retiree health care. They also want labor costs from the union to be competitive with Japanese automakers with U.S. operations. Neither GM nor Chrysler have deals with the union on the trust funding or concessions from their debtholders and the administration has been trying to accelerate those efforts. GM and Chrysler employ about 140,000 workers in the U.S.
Members of the president's auto industry task force have said bankruptcy could be an option for GM and Chrysler if their management, workers, creditors and shareholders failed to make sacrifices. The conditions could be more stringent than the loan terms set by the outgoing Bush administration in December, officials have said. GM and Chrysler face a Tuesday deadline to submit completed restructuring plans, but neither company is expected to finish their work. The administration's plan would be designed to accelerate those efforts. In February, GM said it intended to cut 47,000 jobs around the globe, or nearly 20 percent of its work force, close hundreds of dealerships and focus on four core brands — Chevrolet, Cadillac, GMC and Buick. Chrysler issued two scenarios in its February plan: one, as a distinct company, and the second, in an alliance with Italian automaker Fiat SpA. Fiat executives have talked to the task force about a proposal to acquire a 35 percent stake in Chrysler in exchange for small car technology, transmissions and other items that Chrysler has valued at $8 billion to $10 billion. Chrysler said in its February report that it would cut 3,000 workers and eliminate three vehicle models, the Dodge Aspen, Dodge Durango and Chrysler PT Cruiser.